It appears that Rep. Scalise was just as unhappy with the game as any other Saints fan, TMZ reported. “Frankly, they should play a makeup game. If the Saints played the Rams on Saturday, I think it’d be the highest-watched sports event all year,” Scalise told TMZ. 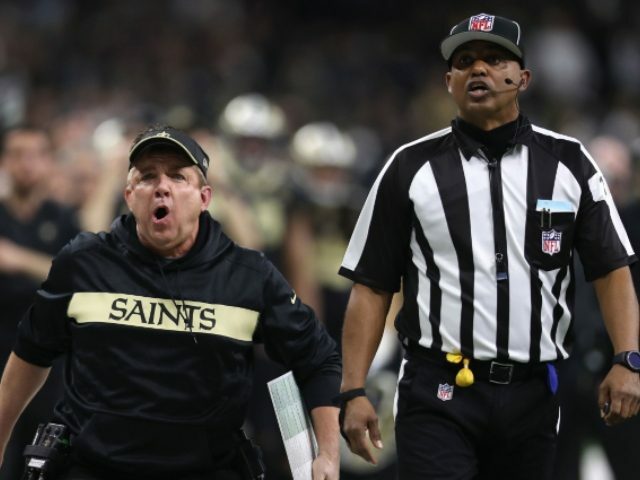 The NFL refs are taking an avalanche of criticism over a missed interference call that likely would have led to a Saints victory during last Sunday’s NFC Championship game. But instead of the Saints going to the Super Bowl, the Los Angeles Rams have been given that honor. The congressman added that he thinks the league will fix their officiating problem by next year. He also predicted that the Saints will be back as strong as ever next year. “We’re going to do some reverse voodoo and get back in the Super Bowl next year!” the Representative said of his favorite team. Of course, Rep. Scalise is lucky he was even here to see the game at all. Scalise was the congressman that an enraged Bernie Sanders operative tried to gun down at a Virginia baseball park in 2017. The congressman was critically wounded, and for a time some doctors wondered if he would ever walk again.